Step 2 Add the eggplant and gently fry until golden. Step 3 Add the tomato and spices and cook for 3 minutes until soft. Step 4 Add the water and chia seeds, cover and cook for 10 minutes. Step 5 Remove from the heat, let cool. Then blend using a hand blender or food processor until smooth. Step 6 Eat and enjoy! 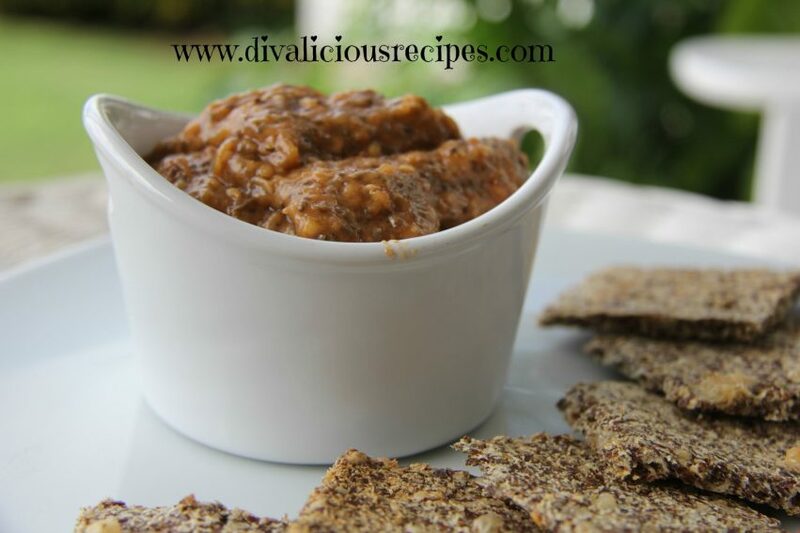 Chia seeds make a great dip and this eggplant dip is flavoured with cajun spices. I’ve been playing around with “Cajun” spices and discovered that they go very well with eggplant. So thought I’d make a dip and throw in some chia seeds too!